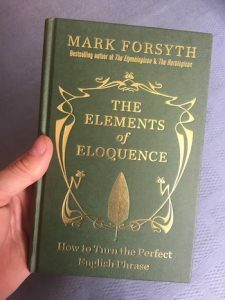 If you’re into writing or reading in any way (and you probably are, if you’re reading this), then The Elements Of Eloquence – How To Turn The Perfect English Phrase by Mark Forsyth is a must have book. I was lucky enough to get this as an xmas present a couple of years ago and once I’d started reading it I couldn’t put it down. 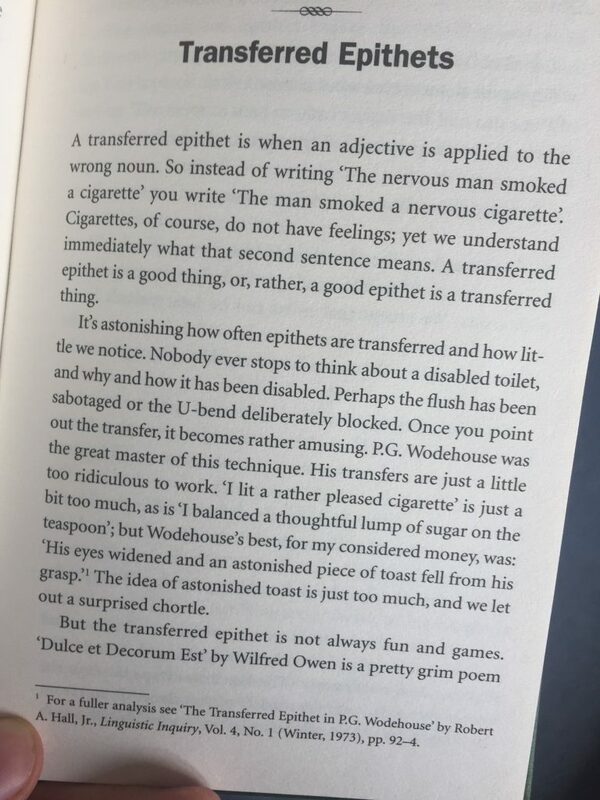 I now always keep it around and dip into it every now and again (along with some other books I’ll tell you about in another post). It’s definitely one of those books that’s a lot more fun as a physical version as a digital version as once you start flipping through the pages you’l want to share it with someone else. Do you know what Epizeuxis is? Probably not. What about Scesis Onomaton? Didn’t think so. ← Previous Post HORROR? WHY NOT? A LIFETIME OBSESSION WITH THE MACABRE: PART TWO.